It all began with a musical parlour game. In the Berlin home of Privy Councilor Friedrich August von Staegemann in the autumn of 1816, a group of young art-lovers put on a brief play with interspersed songs. It told the story of how Rose, the 'lovely maid of the mill', is courted by three men: a young miller, a gardener and a hunter. The latter eventually succeeds in winning her heart. A number of songs were improvised for the occasion, based on poems some of the participants had written. The group of friends eventually wished to have those spur-of-the-moment songs replaced with true musical settings so turned to Berlin composer Ludwig Berger, who selected ten pieces and published corresponding settings in 1818 under the title Songs from the Liederspiel 'Die sch�ne M�llerin'. In accordance with the Lied aesthetic en vogue in the early 1800s, Berger set most of the poems as songs containing several stanzas of equal length. Five of the ten texts Berger set to music were poems by Wilhelm M�ller. Born in 1794, it is no wonder that M�ller took up the role of the miller-lad in the parlour song game. Schubert only set twenty of M�ller�s twenty-five poems. Three particularly extended numbers with many stanzas would have inserted too much delay into his interpretation designed to lead straight to the miller-lad�s bitter, mortal end. 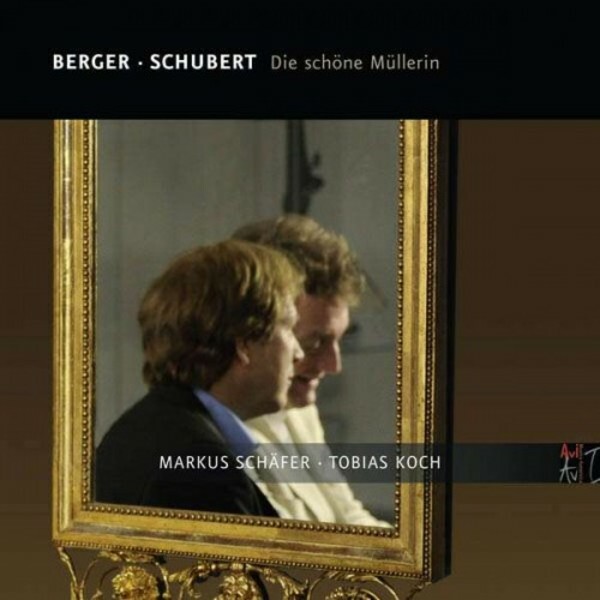 Markus Sch�fer and Tobias Koch have intensely studied the performance practice of Schubert�s time. However, their take on Berger�s and Schubert�s Lieder is not intended to be an act of purely reconstructive historicism, but rather a consciously subjective appropriation and transformation of a historical practice � far beyond merely ornamenting the original notes.